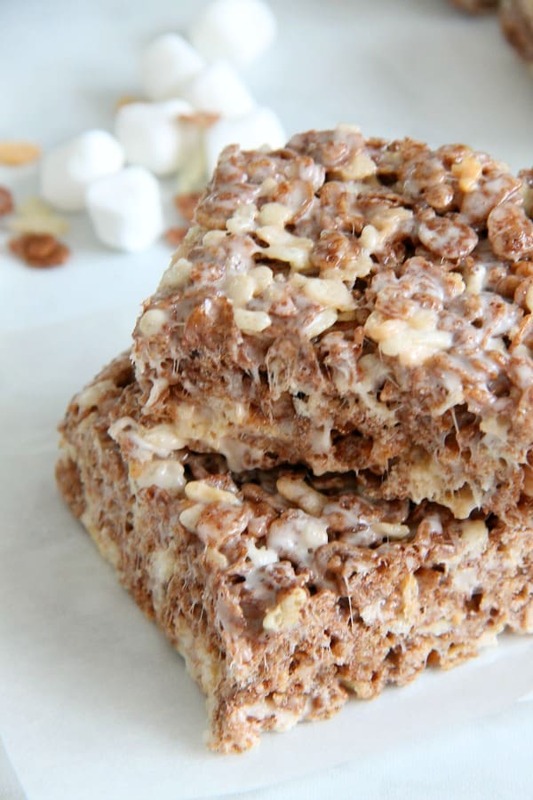 Cocoa Marshmallow Treats are a fun twist to traditional cereal treats! I’ve added in some chocolate cereal to take these to the next level! 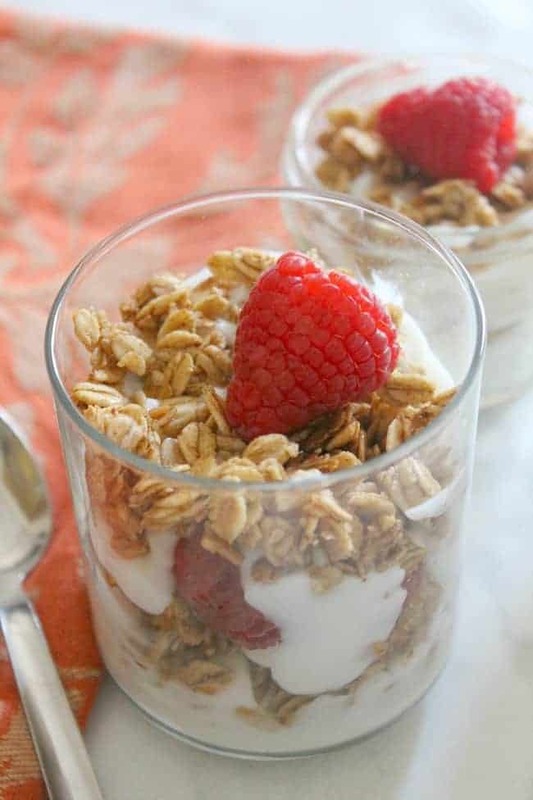 Ok I’m kind of obsessed with these no bake treats! 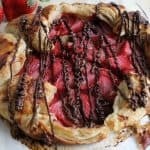 I mean, when you can have this yummy delicious gooey treat in about 20 minutes, who wouldn’t love it! 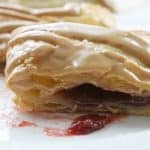 I love how simple these bars were to make and my kids did too! 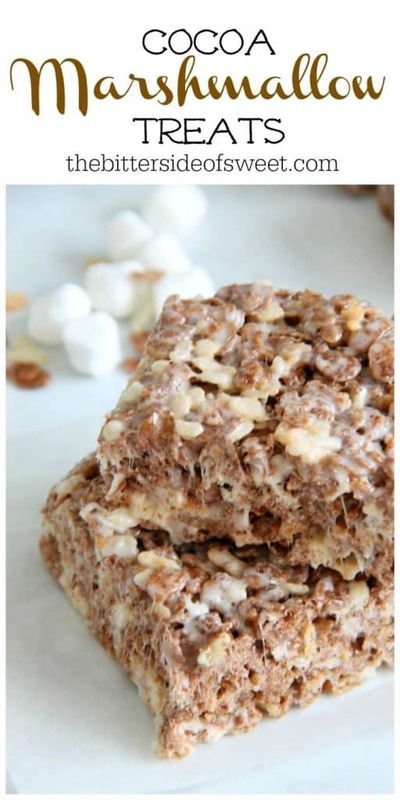 As I told you in my last post about marshmallow treats, I mentioned that you could use any cereal! Now I am on a mission to try! 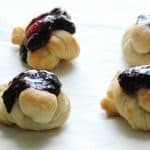 Remember you can make these fruity marshmallow treats or these charm treats! Equally delicious! And how about these lemon white chocolate rice krispy treats? I mean, let’s do it! 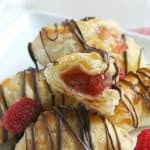 Do these treats freeze well? I would say yes. Now will they taste as good as good as when you first make them? No, the flavor is a little different. But it is a good way to store them if you make too many. I actually freeze my treats all of the time! 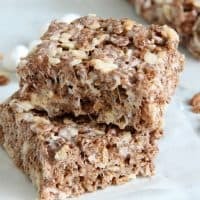 Other recipes with cocoa cereal that might interest you! 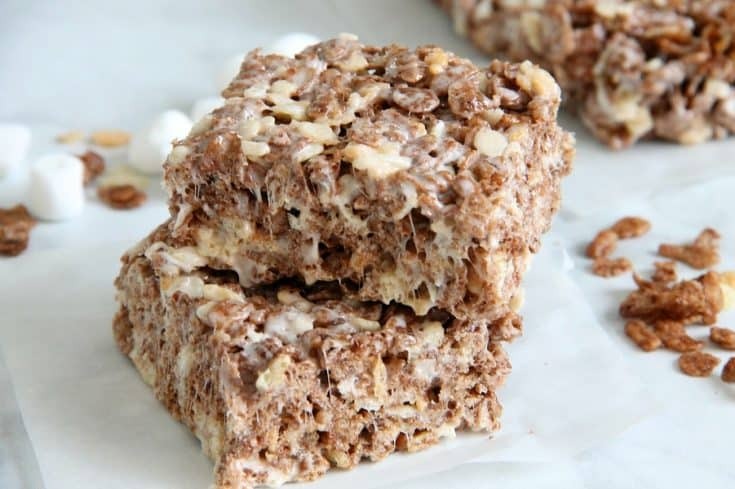 Peanut Butter Cocoa Pebbles No Bake Dessert I am all about the no bake treats! Chocolate Ranger Cookies I have not heard of these but it sounds AMAZING! Chocolate Peanut Butter Cereal Bars, loving the fact that there is peanut butter in these! In large pot melt butter and marshmallows about for 2 minutes. Stir. Add an additional 1 1/2 cup of cereal. Stir well. Pour into an 8X8 pan. Spread evenly in pan. 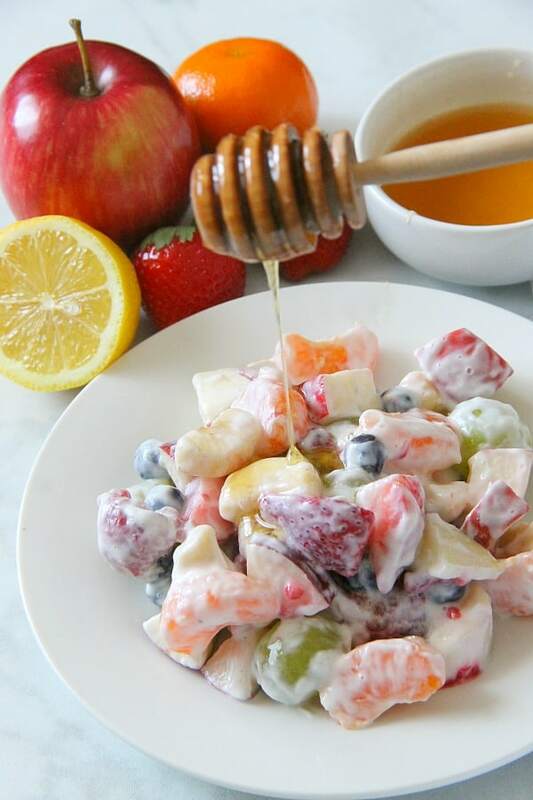 Fruity Marshmallow Treats is the perfect ooey gooey treat! 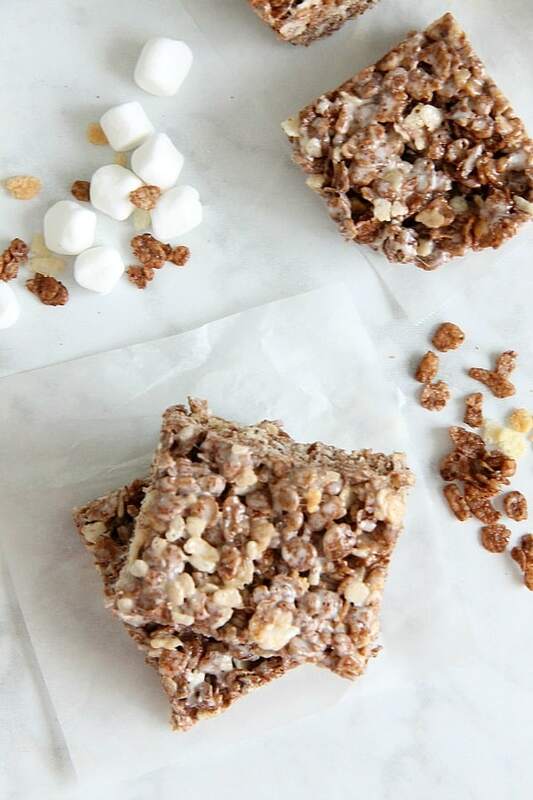 Made with your favorite version of cereal and lots of buttery marshmallow goodness! 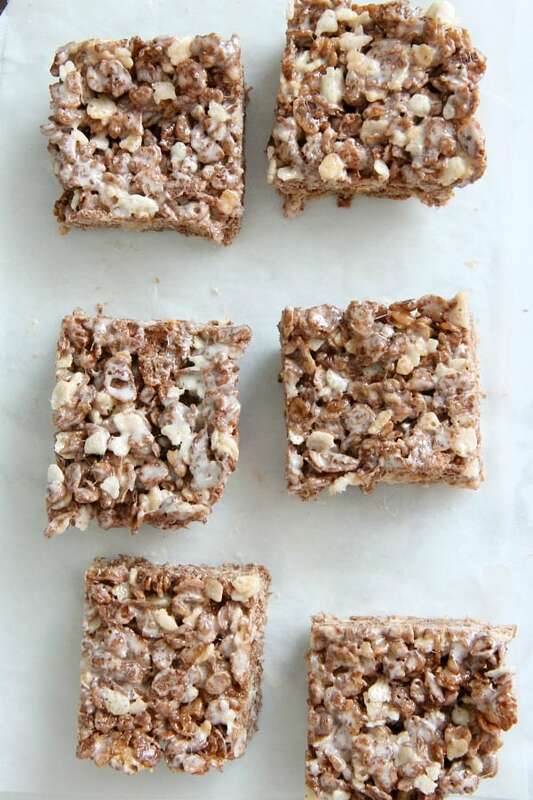 My favorite childhood treat was rice krispy treats! Are you with me? Well I make them a lot for my kiddos but I get a little crazy every now and then and I add different cereals to them. 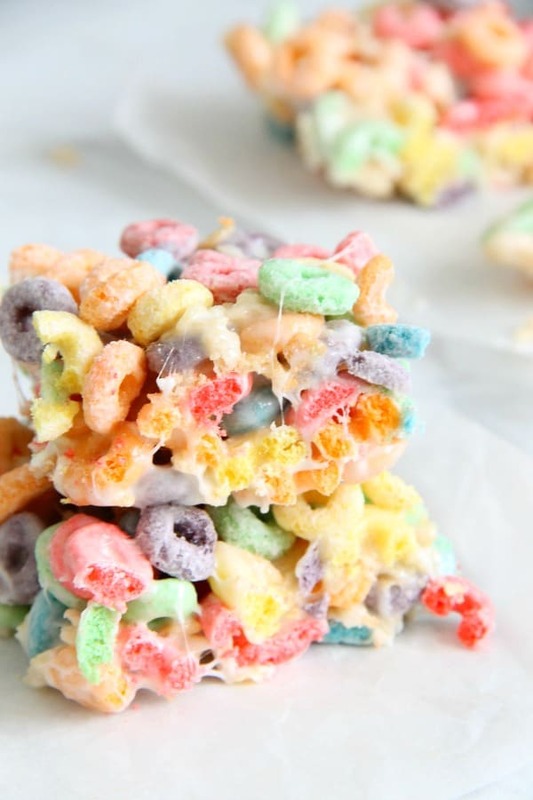 Once I made these charm treats using lucky charms cereal! They LOVED them! 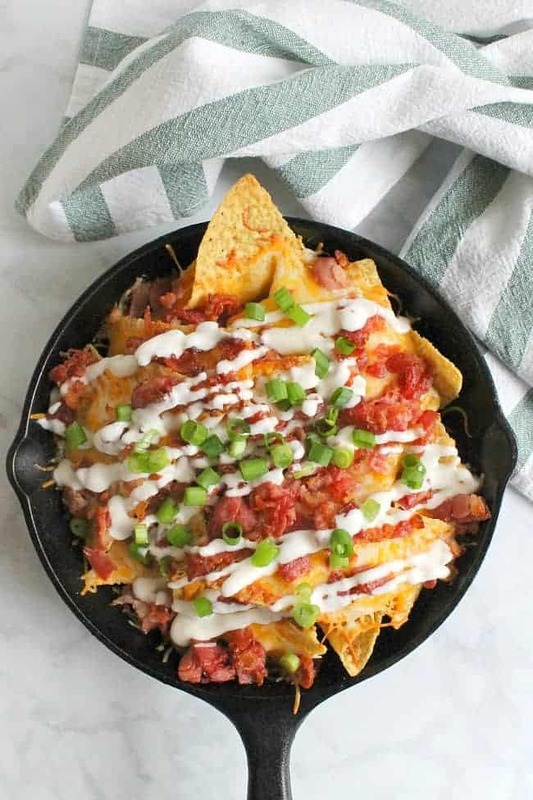 Bacon Ranch Skillet Nachos are the perfect party food! Lots of cheese and bacon makes this an easy appetizer for your festivities! I’m somewhat excited about the fact that this year’s Super Bowl is being played in the area I live in. The town is jumping with excitement as people are flooding the area. Even though the local team didn’t make it into the final, people are still looking forward to game day!